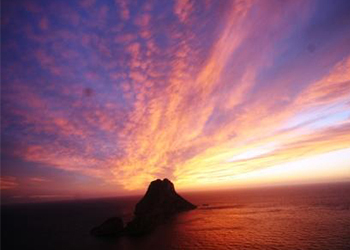 If you are coming to Ibiza you will undoubtedly want to catch the sunset in Ibiza this summer. Without a doubt, there is nothing better than sitting on your own private yacht, watching this spectacle of nature unfold, with close friends and family and feeling the gentle swaying of your charter boat with the sound of waves lapping against its bow as you watch the sun glow, as it collects its rays and transforms into a huge ball of florescent red, then bow and dip below the horizon. 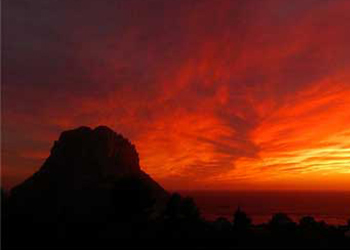 For many people catching the sunset in Ibiza or indeed from any part of the Balearic Islands is simply unmissable. 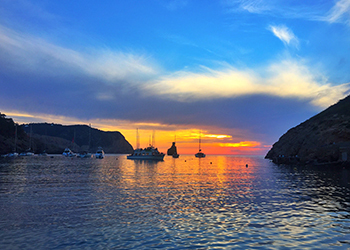 There are so many great spots in both Ibiza and Formentera, like Kumarahs, Sunset Ashram, Beso Beach in Formentera, or Cala Saona that are perfect for watching the sunset. Weather you are watching from a beach club, or a motor boat moored we have no doubt that all eyes will be cast toward westward, in order to catch the sunset. 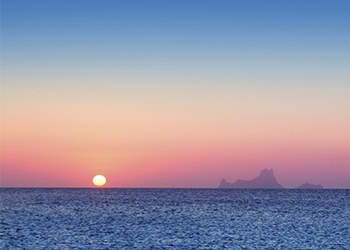 To make things a little easier and to make sure you don’t miss the show, we have put together a little guide, of sunset times in Ibiza this summer.